If you are a lover of the surprise and spontaneity in creativity, I hope you will join me on June 7 for a charm-filled “pop-up” on the river. The pop-up has been the rage in New York City. Walking down the streets there, you never know what you might come upon—in a storefront, Bon Appetit magazine creates a pop-up restaurant for only two weeks, and it's the hottest ticket in town. A talented man puts his baby grand piano on wheels and pushes it to Washington Square Park to give spontaneous free concerts, to wild applause. That's the pop-up idea, and now you can be a pop-up guest in an unforgettable setting. On behalf of WNPR, it is once again my pleasure to serve as honorary chair of what promises to be a dazzling display of pop-up talent performing for the annual benefit to support the Pomperaug River Watershed Coalition (PRWC). 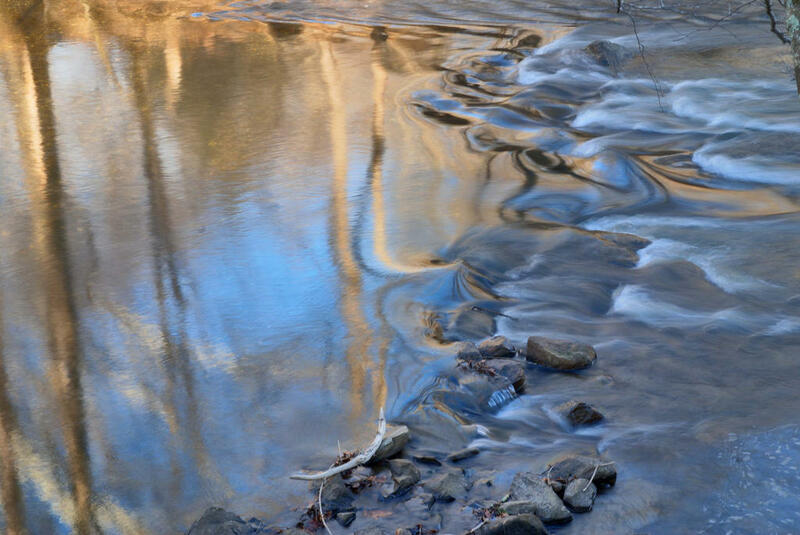 The non-profit coalition, comprised mainly of volunteers, is dedicated to preserving and protecting the quality of the region's water and watershed for today and for future generations. It has become a nationally recognized model for scientific investigation and collaboration with municipalities. The setting for the Saturday, June 7, event at 4:30 pm is the beautiful riverside property of Woodbury's Mill House Antiques. Guests are invited to stroll the gardens and delight in viewing all kinds of pop-up performances, watching the graceful sweep of fly-fishers casting for trout, plein air artists painting what captivates them along the river bank, musicians and dancers creating on the spot in response to the beauty of the rolling river, chefs offering abundant food, and wine stewards pouring to your heart's content. The atmosphere is casual, engaging, and welcoming, providing a chance to see friends or make new ones. For me, it's an opportunity to connect with our listeners and online visitors, make new friends, and to hear about your story suggestions for us at WNPR. I hope you'll join me and be part of “The Scene” by the river. Benefit tickets, at $75.00 per person, are available at pomperaug.org and at (203) 263-0076. The rain date is Sunday, June 8, at 4:30 pm.